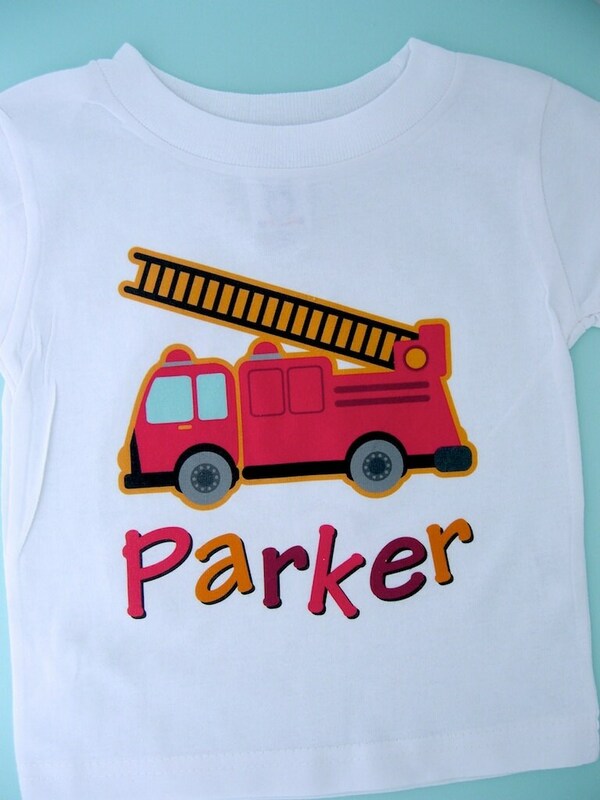 Cute Fire Truck Shirt. 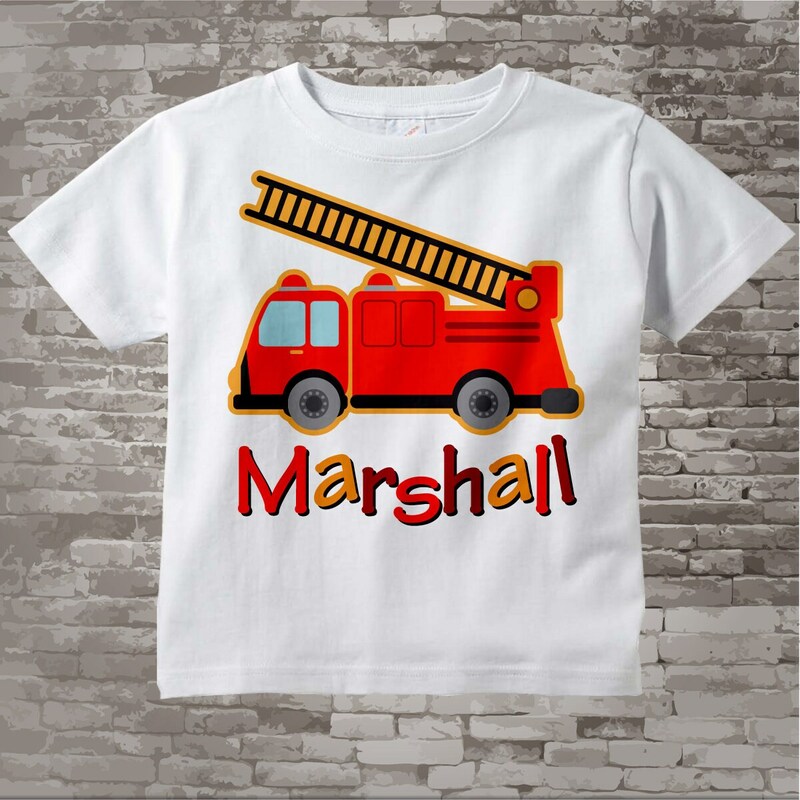 This cute tee shirt or Gerber Onesie with awesome Fire Truck can be personalized with your child's name and is available in many sizes and styles. 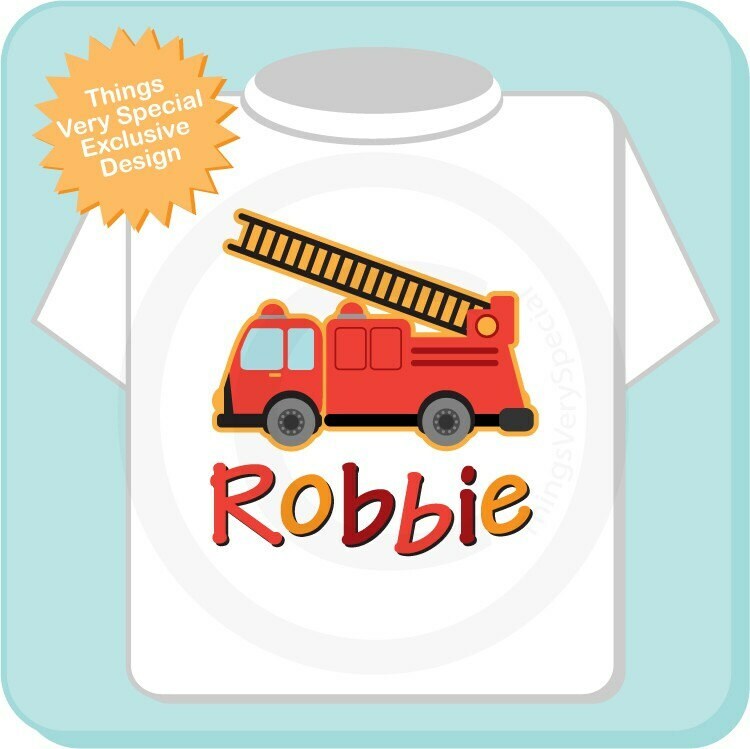 This one has the name Robbie but your child's name will be substituted. Very cute shirt. Thanks !